In the past two blogposts I have been creating and importing some nice Tour de France 2016 data. 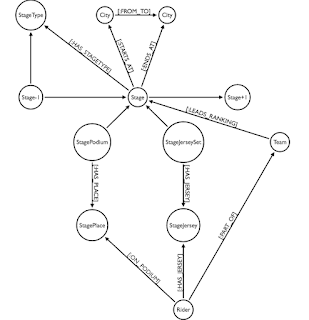 It's a small dataset, for sure, and this is by no means a realistic graph application - but perhaps we can still have some fun exploiting the data with some cypher queries. That's what we'll try now. I have put all of the example queries together in this gist, so please feel free to play around with it :) ... let's take you through it. Is the model really there? which does not sample (and takes the whole graph into account) and get the same result. I have been tempted to add one more thing to the model (a JerseyType) - but for all intents and purposes everything we wanted to be there is there. Of course, one of the cooler types of queries that we can do in Neo4j, are the path-oriented queries that allow me to explore unknown connections between different entities. So let's start by looking at some links between two riders, Greg Van Avermaet (of Belgium, of course) and Chris Froome (super-favorite for this year's victory). Immediately we can see the links: both of them had the Yellow jersey for a couple of days! we can immediately see that both teams have had some success with stage wins and "White" youth jerseys. So now let's look at some other, more advanced queries. The new AAPOCs (Awesome APOCs, just as a reminder :) ) give us easy access to some other great graphy query patterns that can really help us. 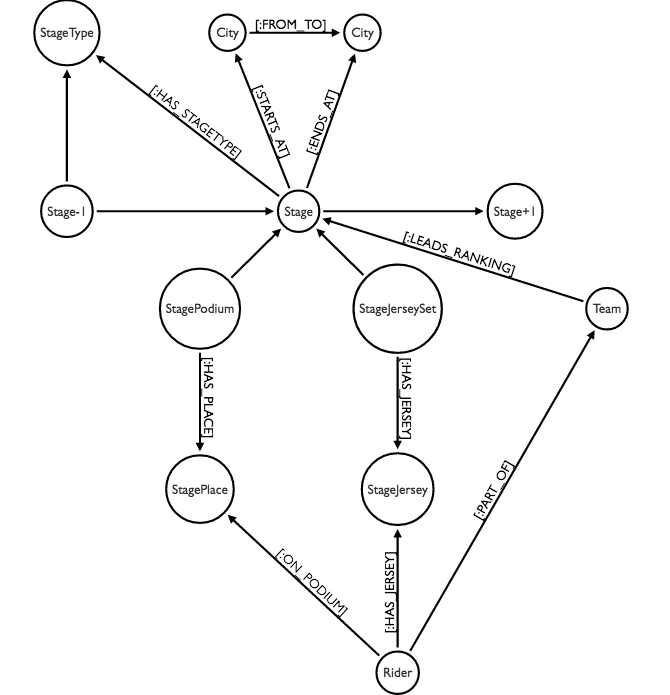 First of all, let's do some PageRanking using one of the Graph Algo APOCs. Rockstar Rider Peter Sagan, FTW! Of course there are so many other things that we could query for - and this blog post is just an initial start of that. 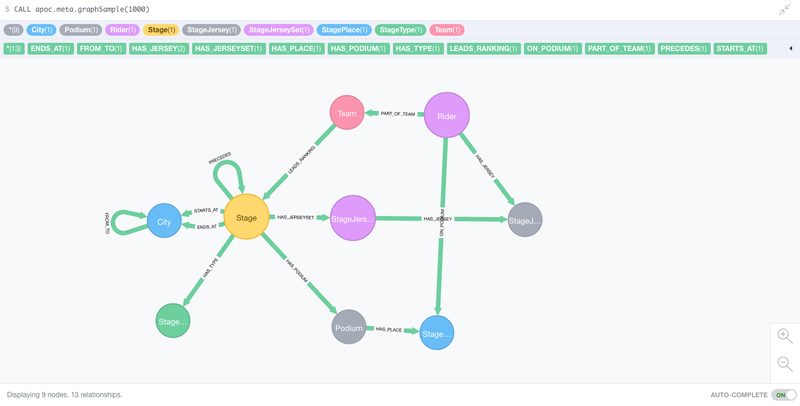 Just to show you that tiny little graph datasets can be FUN to explore with Neo4j - I hope I have shown you that much! Hope this was a fun and useful exercise - now, back to the bike!